Business experts in Japan believe that the cryptocurrency industry is “headed for a period of stability” after a tumultuous nine months that saw two major exchanges hacked for millions of dollars worth of digital tokens – although they warn more takeovers could be on the horizon. The country’s regulatory Financial Services Agency (FSA) last week granted the Japanese Virtual Currency Exchange Association (JVCEA), a group of 16 FSA-licensed exchanges, the right to self-regulate. Experts across the spectrum have welcomed the FSA’s decision, stating that self-regulation will allow exchanges the chance to win back the public’s trust. The JVCEA has already issued its members with a strict and comprehensive set of guidelines, and has promised to deal harshly with exchanges who fail to keep its rules. In a column for Gendai, financial market analyst Masayuki Tashiro said the move was a “bright spark” and suggested that “confidence” could be restored to the industry, providing exchanges did indeed abide by their new guidelines – potentially resulting in a dramatic recovery. The Japanese exchange sector is still dominated by small- and medium-sized enterprises, but some of the country’s biggest IT and financial companies have already purchased stakes in licensed exchanges, and have a history in targeting companies struggling to meet the terms of FSA business improvement orders. Coincheck was taken over by financial services company Monex earlier this year after falling victim to a hack in January, with another financial sector company, Fisco, set to complete the takeover of last month’s hack victim, Zaif, late next month. 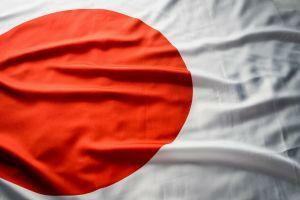 Earlier this year, Yahoo Japan bought a 40% stake in Tokyo-based exchange BitArg. SBI, one of the world’s biggest financial groups, has made two large-scale share purchases in LastRoots, which was also hit with an FSA order earlier this year. SBI vowed it would help LastRoots meet the terms of the order, promising financial and technical support. The likes of e-commerce platform Rakuten, mega-bank Mitsubishi UFJ Financial Group and chat app giant Line are also keen to begin operating exchanges as soon as possible. Companies like these may not be prepared to wait for the FSA to sift through a massive backlog of applications as they wait for permission to launch exchanges of their own, and may instead seek to takeover or buy minority stakes in existing exchanges.